This easy-to-grow herb attracts butterflies and hummingbirds to the country garden. While many garden herbs supply a useful quantity of leaves for tea and garnish, they fail to provide pleasing flowers and color to the garden. Pineapple sage is the exception to the rule. Not only do the fuzzy leaves have a wonderful scent and make a lovely tea, as well as a pleasant addition to many recipes, the beautiful red, tubular shaped blossoms, edible as well, lend a welcome burst of fall color beginning in late August to mid-October. The fragrant red blossoms are especially appealing to hummingbirds and butterflies. Pineapple sage, Salvia elegans, is grown as a perennial in zones 8-11. 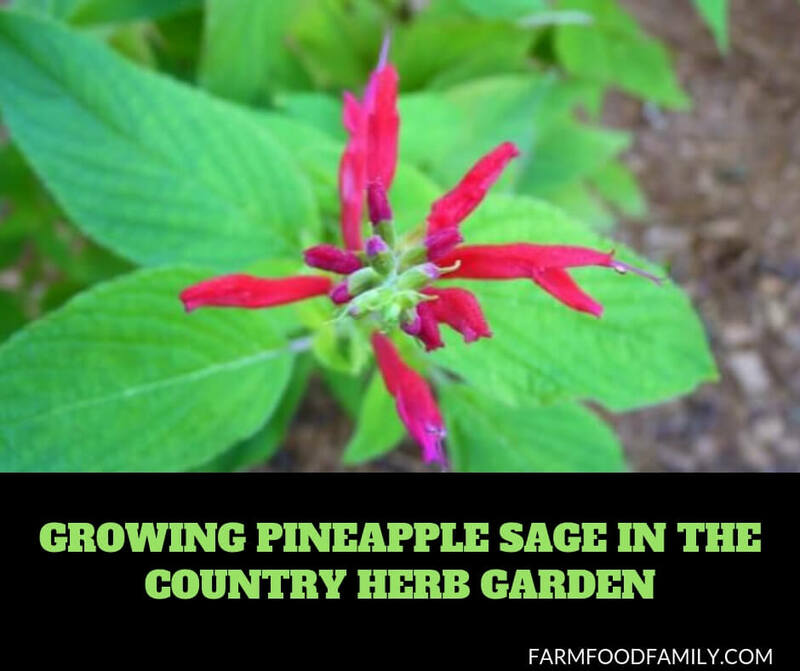 Other zones must grow pineapple sage as an annual. The plant may be grown from seed, sown in a sunny area after the last frost date, planted from cuttings, or may self-seed from previous plantings as far north as zones 6 and 7. In this case, the plant will appear in early spring on its own. It may also be purchased from nurseries to give a fast start for the seasonal herb garden. If mass planting, space the plants at least two feet apart. Pineapple sage is a fast growing herb, and will grow approximately three to five feet in a single season. Pineapple sage loves sunshine and warmth. Be sure that it is planted in an area that receives at least six hours of sun per day. While the plant does not appreciate soggy soil, do not let the ground dry out completely, as it prefers slightly moist soil. In the south, it is best to water late in the evening and allow the soil to absorb the water. Never spray the plant in the hot sun, especially on humid days, as the foliage will quickly burn. To make the plant more compact, the top may be trimmed and pinched back regularly. If plants are closely spaced, keep them pruned throughout the season to allow good air circulation. The leaves may be harvested daily throughout the season. They can be dried using the same method for other herbs. It is best to keep the dried leaves in an opaque glass jar. Pineapple sage leaves may also be frozen. Pat the clean individual leaves with light olive oil and seal tightly in a Ziploc bag. The leaves may turn dark in the freezer, but the flavor should remain. Leaves of the plant make excellent tea and also add interest to salads and vegetable dishes. Pineapple sage can also be used in dessert and meat dishes. Pineapple sage also makes an excellent flavoring for oil or vinegar. Herbalists use pineapple sage tea to treat indigestion and also as a general tonic for good health.